The Money Factory is the official website name for the The Bureau of Engraving and Printing. And what a money factory it is. 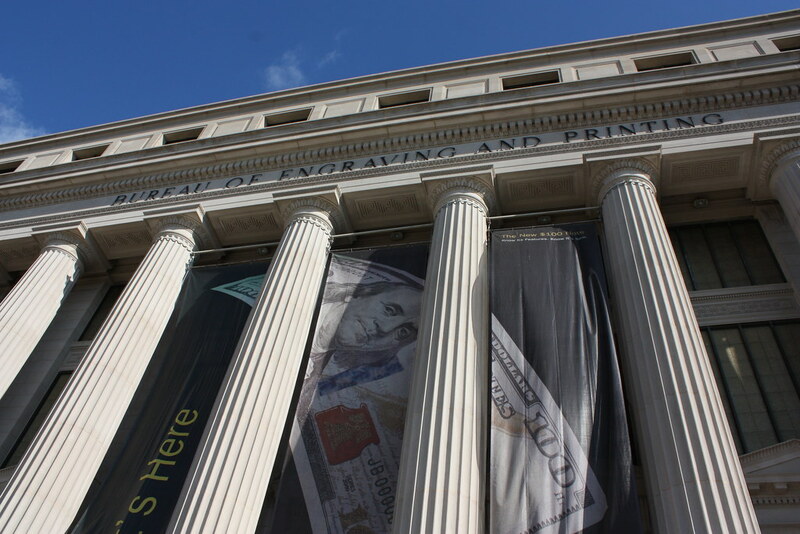 It’s only open for tours during the weekdays which makes scheduling a visit a little harder for the working folks but for tourists, it’s another interesting and free place to explore during their stay in Washington DC. Especially on a cold & windy winter’s day. The Bureau of Engraving and Printing was established by President Lincoln in 1862. The original office was located in a single room in the basement of the Treasury Building. 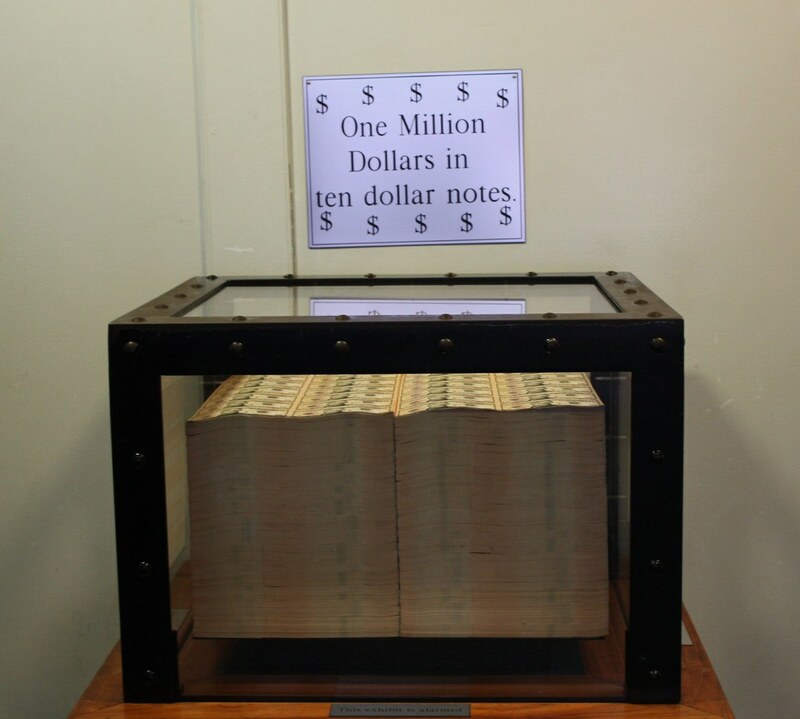 There were six employees who printed and sealed $1 & $2 notes. Today, there are over 2,500 employees working out of two sites in Washington DC and a building in Fort Worth Texas. Together, they print over a billion dollars a day. I found that an amazing amount and re-checked with the tour guide. Yes, a billion! 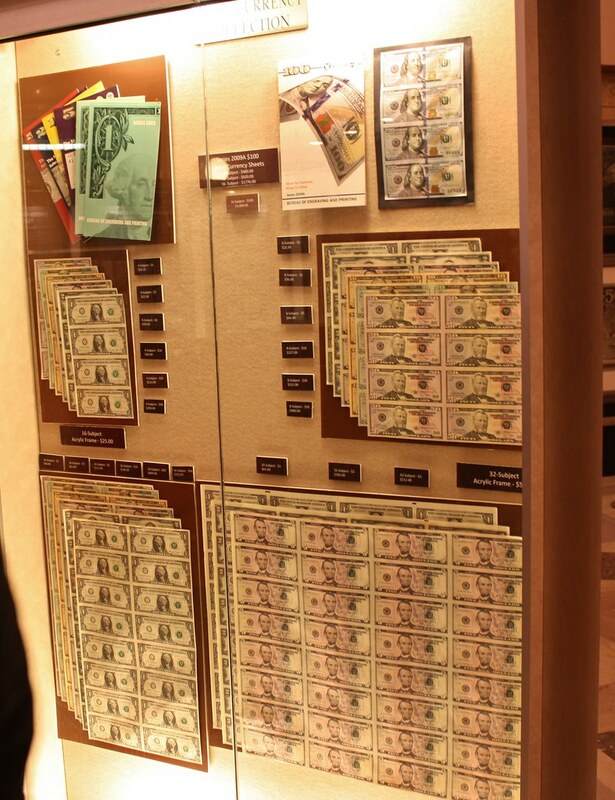 In the past, the Bureau has also printed currency for the following governments: Cuba (1934), the Philippines (1928), Siam (Thailand – 1945) and Korea (1947). Each government paid for all the work connected with printing their money. The Secretary of the Treasury is responsible for all designs on paper currency including the portraits. In 1929, the size of the notes were reduced and are all the same size. This is a common complaint I’ve heard from my non-American friends. They find the same size notes to be confusing. And I won’t even get started on how they feel about our coins. The 40-minute tour begins with a short film and then takes you through the steps of the printing production. It was a lot more complicated process then I had previously thought. It’s the off-season and not a highly advertised tourist destination so I was expecting the tour to be sparsely attended but it was full. Be sure to get a ticket in advance during the summer months. 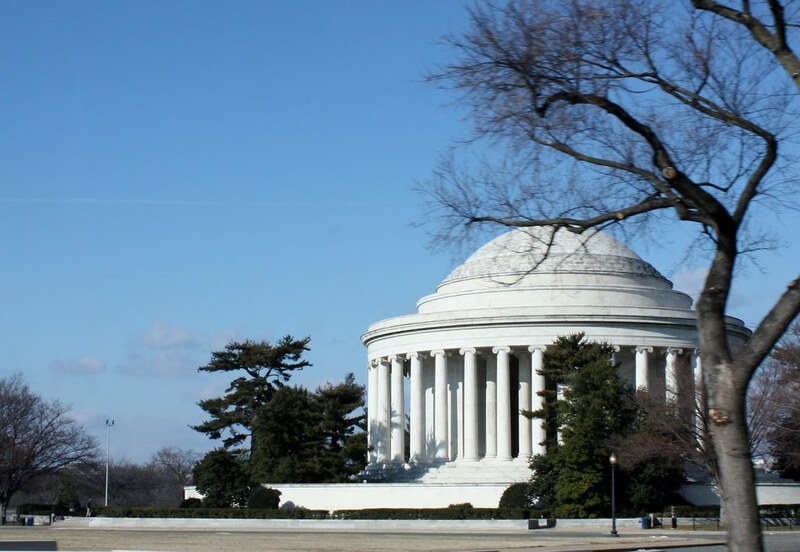 The Jefferson Memorial is within easy walking distance of the Bureau of Engraving and Printing. I would recommend a visit there before or after the Bureau tour. Also, next door to the Bureau is the Holocaust Museum. Click here for ticket/tour times.